The ILM Level 2 Award and Certificate in Leading & Team Skills are qualifications specially designed to give practising or aspiring team leaders a solid foundation in their formal development as a leader. The qualifications have been designed for team leaders who have some personal autonomy and responsibility, and who collaborate with others to deliver work. The ILM Level 2 Team Leader qualifications can be fully tailored to meet the varying needs of learners across all employment sectors. The Award or Certificate in Leadership and Team Skills is ideal for practicing team leaders, helping them become more effective and confident in their role. They also support new or aspiring team leaders – helping them make the transition from working in a team to leading a team and gain an in-depth introduction to the role and its responsibilities. This is a nationally recognised qualification – the ideal launch pad for your management career. The VRQ provides the theoretical underpinning knowledge to support your performance as a practising manager. This consists of a combination of classroom based delivery and self study. Candidates will be expected to attend a number of classroom-based sessions, no more than one session per month, as well as completing a number of self study units. 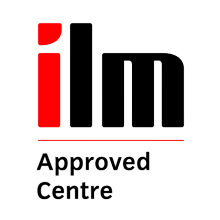 The Level 2 ILM Qualifications lead directly onto the Level 3 ILM Qualifications in Leadership and Management.